The primary element which sets neuromuscular dentistry apart from traditional dentistry is that neuromuscular dentistry considers the nerves and muscles and the correct positioning of the jaw, whereas traditional dentistry focuses on just the teeth and joints. The most life-changing effect of neuromuscular dentistry is its ability to prevent, diagnose, and treat a misaligned jaw which has far reaching ramifications that can present themselves as painful and debilitating symptoms which seem to have no relationship to dental problems. The result is a more complete approach which can resolve painful conditions such as temporomandibular joint disorders and provide more comfortable and longer lasting solutions to other dental needs such as dentures and smile makeovers. Your teeth, joints, muscles, and nerves all work together in the proper alignment and functioning of the jaw. When any part of this equation is overlooked painful conditions such as TMJ and serious dental problems can develop. Neuromuscular dentistry utilizes modern technology to precisely determine the proper positioning of the jaw. Electromyography measures the electrical activity in the jaw muscles and the jaw-to-skull relationship. This determines muscle tension when the jaw is in motion and in a relaxed position. The mandibular scan precisely tracks all of the motions of the jaw and the position of the jaw at rest. Sonography records all of the sounds of the jaw while it moves. Clicks, pops, scraping, and grinding all are sounds of misalignment (malocclusion). In the treatment of TMJ/TMD a neuromuscular dentist will use transcutaneous electrical neuromuscular stimulation (TENS). This treatment acts like a massage, relaxing the muscles, stopping spasms, and relieving pain. A smile makeover addresses all aspects of your smile including your teeth and gums, and should include proper jaw alignment. Neuromuscular dentistry ensures that a smile makeover is complete and achieves not only the optimum functional dental benefits, but the cosmetic benefits as well. When your teeth and jaws work together properly, the muscles are relaxed and the effect can take years off of your appearance. A misaligned bite can lead to future damage, including chipped and broken teeth, quickly diminishing the results of a smile makeover and requiring unnecessary painful and costly dental work. Traditional dentistry relies on impressions to create dentures. Using impressions alone can lead to subtle imperfections and does not create a precise bite alignment. Neuromuscular dentistry eliminates many of the problems commonly associated with dentures including difficulty chewing and speaking, and can extend the length of time that the dentures will fit properly before they must be replaced. Neuromuscular dentistry is a more advanced, effective, and complete approach to dental treatment than traditional dentistry. TMJ/TMD treatment can quickly relieve life-long pain. In general dentistry procedures the results are more accurate and long-lasting. 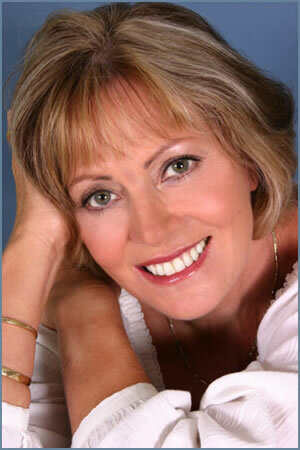 When applied to cosmetic dentistry a more beautiful look can be achieved. Neuromuscular dentistry is a medical paradigm in which temporomandibular joints, masticatory muscles and central nervous system mechanisms follow generic physiologic and anatomic laws applicable to all musculoskeletal systems. It is a treatment modality of dentistry that objectively focuses on correcting misalignment of the jaw at the temporomandibular joint (TMJ). Neuromuscular dentistry acknowledges the multi-facted musculoskeletal occlusal signs and symptoms as they relate to postural problems involving the lower jaw and cervical region. Neuromuscular dentistry recognizes the need to solve the root of the misalignment problem(s) by understanding the relationships of the tissues involved, which include muscles, teeth, temporomandibular joints, and nerves. In short, neuromuscular dentistry and technology add objective data and understanding to previous mechanical models of occlusion. Neuromuscular dentistry uses computerized instrumentation to measure the patient's jaw movements via Computerized Mandibular Scanning (CMS) or Jaw Motion Analysis (JMA), muscle activity via electromyography (EMG) and temporomandibular joint sounds via Electro-Sonography (ESG) or Joint Vibration Analysis (JVA) to assist in identifying joint derangements. Surface EMG's are used to verify pre-, mid- and post-treatment conditions before and after ultra-low frequency Transcutaneous Electrical Nerve Stimulator (TENS). By combining both computerized mandibular scanning (CMS) or jaw motion analysis (JMA) with ultra-low frequency TENS, the dentist is able to locate a "physiological rest" position as a starting reference position to find a relationship between the upper and lower jaw along an isotonic path of closure up from the physiologic rest position in order to establish a bite position. Electromyography can be used to confirm rested/homeostatic muscle activity of the jaw prior to taking a bite recording. Once a physiologic rest position is found, the doctor can determine the optimal positioning of the lower jaw to the upper jaw. An orthotic is commonly worn for 3-6 months (24 hours per day) to realign the jaw, at which point orthodontic treatment, use of the orthotic as a "orthopedical realigning appliance", overlay partial, or orthodontic treatment and/or rehabilitation of the teeth is recommended to correct teeth and jaw position.